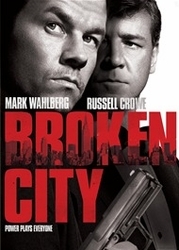 Mark Wahlberg, Russell Crowe and Catherine Zeta Jones star in this gripping crime thriller where everyone has a motive and no one can be trusted. Seven years after being forced to resign as a New York police officer, private detective Billy Taggart (Wahlberg) takes on his toughest case yet: following the wife (Zeta-Jones) of the city's hard-nosed mayor (Crowe), who's convinced she's cheating on him. But by the time the mayor reveals his true intentions, Billy is already in too deep. Now, with his freedom - and quite possibly his life - on the line, Billy will risk it all in a desperate bid to expose the truth, and seek redemption in a city where second chances don't come cheap.